If you have questions about Cameron County Social Security Disability SSD, give us a call. For free, we will help explain the SSD process and answer any questions you have. The Social Security Disability SSD lawyers at Cameron County SSI have helped lots of disabled people. We know the SSD system and we can help get you through. You never pay our Social Security Disability SSD lawyers a penny unless you win your claim. Cameron County SSI will never ask for money upfront or bill by the hour. Social Security Disability Insurance, or SSDI, is an important part of disability care provided for people with disabilities by the state of Texas. Social Security benefits are needed for all those who can no longer reliably work because of a disease or injury. The supplemental security income program was created for those who are unemployed or underemployed due to an injury or other serious illness, thereby keeping families safe by enabling them to stay in the homes they have chosen, to keep their kids in school, and to give their family the security they need. The program is open to all applicants, however, these benefits must be requested by submitted application that describes the extenuating circumstances, which caused the loss of income. The inability to work must be proven. The supplemental income is determined based on the application, and each person has their income scaled based on their financial standing, current physical position, and family need. What is Social Security Income for Children? SSI is a federal program for children ages 17 or younger that need help paying for personal and medical needs because of a disability or special health-care need. It offers monthly cash assistance for a child’s personal and medical needs such as: food and shelter, medical and dental care not covered under health insurance, and personal needs like clothing. The people living in your home that are listed on the SSI application must have a limited income and limited resources based on a special SSI formula. Only certain parts of your earnings count as income. Your child must have a physical or mental disability, or a special health-care need, that significantly restricts their daily activities. Children 17 years old and younger must have what the Social Security Administration calls “marked and severe functional limitations.” At age 18, this definition changes to “an inability to do any substantial gainful activity” such as holding a job. Assistance can change over time and can be lost. This is determined by the changes in the child’s health and living conditions. The Social Security Administration regularly makes contact with recipients to determine if circumstances have changed. Cameron County SSI is an important source to help you fill out application forms enabling your child to receive the amount he/she deserves and help you with ongoing interaction with the Social Security Administration. Do you really need a lawyer when applying for Social Security Disability? If you have been wondering whether you should retain an attorney for your Social Security Disability claim, there are some things you need to know. The truth of the matter is that over 60% of applicants are denied at the initial level when applying for Social Security Disability Benefits. For many, the application process can be overwhelming. The system was intended to be non-adversarial; it was meant to be FOR you, not against you. However, the reality is that without knowledge of the system and the various requirements and considerations that must be taken into account to determine if you or a loved one may qualify for disability benefits, the process can seem impossibly difficult and even unfair. People who need to apply often hear stories of legitimate claims being denied, applicants being treated unfairly and people waiting for years for benefits to begin. Furthermore, there are age limitations and other restrictions. The process regularly changes. 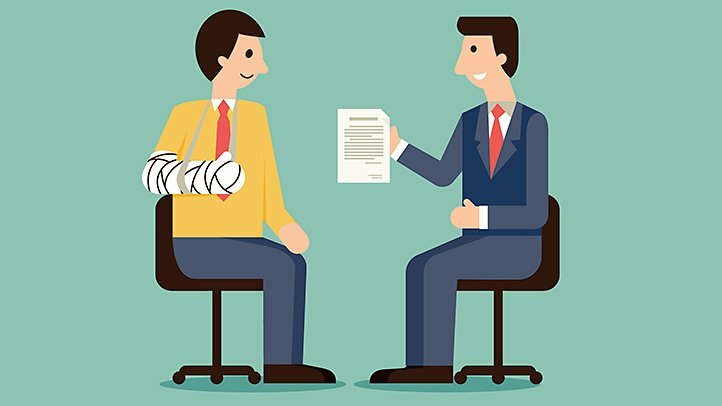 Applicants need the guidance of an attorney who is focused on staying informed on the ever-changing SSDI process. This is why it is important to have a qualified Social Security Benefits attorney as soon as possible in the process. Cameron County SSI and its attorneys are dedicated to serve you, their client, and help you win the benefits you deserve. Applying for a Social Security Number, or SSN, for immigrants is important because they need a special assigned number to receive government benefits. They should contact the Cameron County SSI office at (956) 572-6792, and they will be given a special application that is used only for the immigrants who need identification numbers. The SSN that is provided to each immigrant is temporary. They will receive information about applying for citizenship. The two processes are linked together, enabling a easier transition into a new life. The attorneys at Cameron County SSI are available to aid in this transition, provide information, special applications required by the Federal Government and, additionally, help with translations for their applications and government materials. How Do I Apply for Benefits/Insurance? You apply online at Cameron County SSI website and CLICK HERE. There you will fill out an application. The application takes moments to complete, and it is reviewed as quickly as possible. You will be notified by email of your next steps in the process. A disability claim could be denied at any time. Staying in contact with the Cameron County SSI office during the process is important. There are very few cases where the disability claim is closed after it is denied, so you can go through a different process – the appeals process – to get your claim reinstated. It is at this point that it is very important to have an attorney’s assistance. The Cameron County SSI office handles the appeals process. The staff at Cameron County SSI helps people understand why their claim was denied, and explains to them step by step the process that can lead to an appeal being accepted. Although there are a lot of reasons why a claim can be denied, often it is because of the submission of incomplete information. The applicant who is denied due to a lack of information can come to the Cameron County SSI office to mail or fax in the required information. You can appeal using the forms that are provided by Cameron County SSI and by following their guidance when filling out the forms. Cameron County SSI is here to assist you. You may phone (956) 572-6792 for more information. What happens if I do not win my appeals case? If a person does not win their case, the representing attorney does not get paid. This financially protects the person applying for Social Security Benefits and gives everyone involved the incentive to do what is necessary to win your case. Fortunately, hiring a Social Security Disability attorney is actually very affordable BECAUSE IF WE TAKE YOUR CASE – WE ONLY GET PAID IF WE WIN YOUR CASE. THERE IS NO INITIAL PAYMENT OR COST TO YOU . In fact, the Social Security Administration will handle the attorney’s fees BY PAYING US 25% OF THE AMOUNT OF BACK PAY THAT YOU Would be getting WITH A CAP OF $6000. How do I contact the Cameron County SSI office? We are here to help you! You can start the process today by calling: (956) 572-6792. What is meant by “physical disabilities? A person may become physically disabled suddenly and without any warning, or a person may be born with a physical disability. A person may acquire a physically debilitating disease. If these circumstances are severe enough, or they put a person in a place where they cannot work, they may need help to live a healthy, secure life. Physical disabilities might cause someone to only be able to work on a limited basis, because they cannot work as much as they would have otherwise. In some cases, they might be in a place where they simply cannot leave their home. Each level of disability might qualify someone for benefits, and all this information must be included in the application. Cameron County SSI will help with this process and the specific disability needs to be defined and described. Physical disabilities might occur from birth. Young people who are not likely to be able to hold down a job can apply early. Children, who are disabled temporarily, can apply for temporary benefits. Someone who has an illness or injury that causes them to not be able to go back to work can also apply for temporary benefits. The circumstances that have impacted a person with disabilities are varied. The Cameron County SSI has the background, experience and knowledge to help with the process to insure all required information is submitted and all steps are completed. Anyone can apply for SSDI who is disabled or injured to the extent that they are unable to retain employment. However, there are certain restrictions and requirements. Cameron County SSI will provide guidance, direction and the necessary forms during the process. Does the Federal Government control this program? The Federal Government controls this program, but they have offices in Texas that administer the programs. Cameron County SSI and their attorneys will help you through each step in the process and with contacting the Social Security office. When is it most important for me to have an Attorney? If your initial claim for Social Security Disability is denied, you will have to go through an appeal process. People who have legal representation at this stage are most often more successful in being approved for benefits than those who decide to represent themselves. A Social Security Disability attorney will ensure that you have a fair hearing and that you are asked all of the questions you should be asked during this process. It is important, however, that you choose an attorney who is familiar with Social Security Disability laws and understands what it takes to get a claim approved. The Cameron County SSI office has the experience to guide you through the appeal process. However, beginning the process to obtain Social Security Benefits with the guidance of an attorney familiar with the Social Security Disability laws gives a person a much better chance of not having their initial application denied. 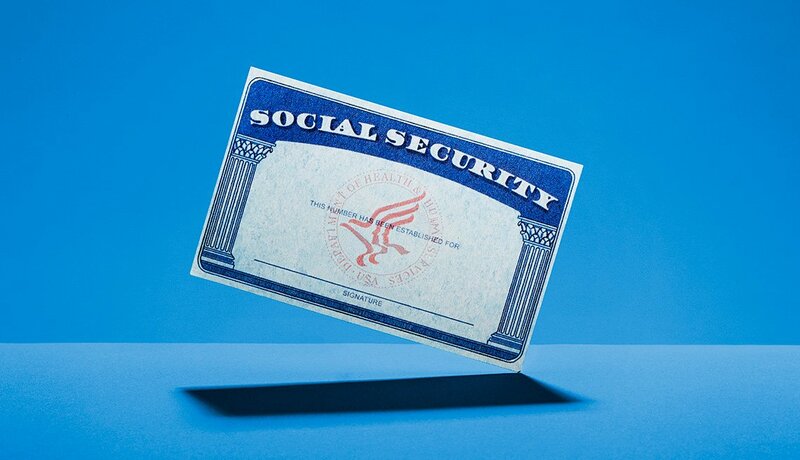 The experienced attorneys with Cameron County SSI focus on Social Security Benefits laws and processes. Their knowledge and expertise gives a person a much better chance of having their initial application approved so that they do not have to go through the appeal process. • Talking to us is free. • Ask all the questions you want. • Find out if you have a case. • Learn about your legal options. • Get the legal help you deserve. The information contained on this website is for the purpose of providing general background information about the Law Firm of Michael Gonzalez PLLC and does not constitute legal advice or opinion, nor is it a substitute for the professional judgment of an attorney.